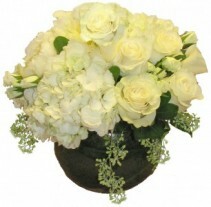 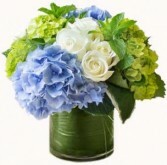 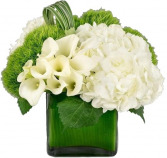 Blue and green hydrangea with beautiful white roses nestled in make this beautiful bouquet a cool colored favorite. Why decide? 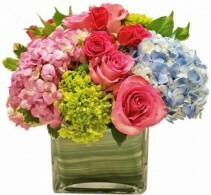 Pink...Blue....why not both? 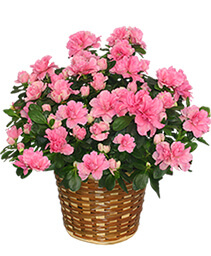 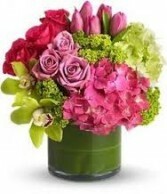 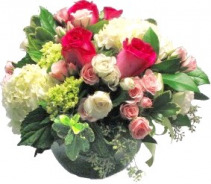 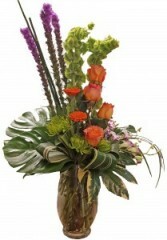 This gorgeous flower arrangement is sure to please the most discriminating floral enthusiast. 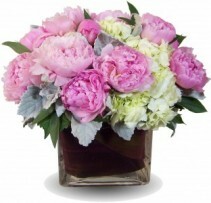 The large size includes 9 peonies and the smaller size includes 6 peonies. 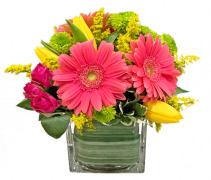 This charming bouquet is sure to bring cheer to someone's day. 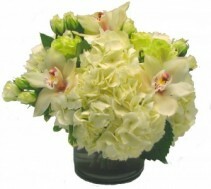 This timeless classic will be sure to brighten and bring joy to it's recipient. These beautiful orange roses and gerbera daisys are surrounded by lush tropical greenery, orchids and liatrus. 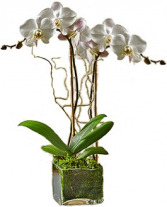 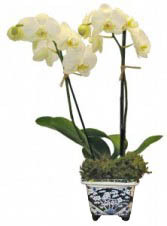 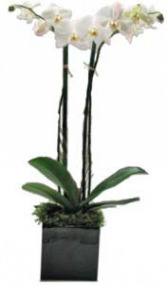 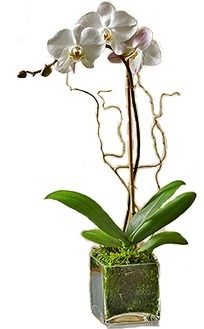 This beautiful Phalaenopsis orchid is arranged in a beautiful delft container that can be enjoyed for years to come. 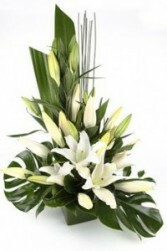 DUE TO SEASONAL CONDITIONS, WE CANNOT GUARANTEE WRAPPED BOUQUETS! 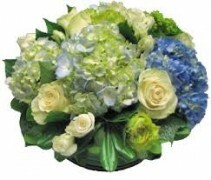 We also offer a large selection of beautiful greeting cards. 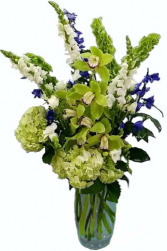 Please inquire if you would like to add one to your order.